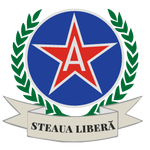 Steaua Libera is committed to safeguarding your privacy. Contact us at if you have any questions or problems regarding the use of your Personal Data and we will gladly assist you. Our website address is: http://steaualibera.com. This might be your e-mail address, name, home address etc. This includes information that is automatically stored by cookies and other session tools. For example, your IP address, your location etc. This information is used to improve your customer experience. When you use our services or look at our website, your activities may be logged. Our website uses certain plugins to help improve user experience and to be able to provide certain features, such as spam protection or security. WordPress and some of these plugins – social plugins (Facebook, Youtube, etc.) or anti-spam plugins – might collect certain information from you (IP address, location etc.). However, we assure you that they are all GDPR compliant and that your information is safe. Visit our Privacy Tools page to erase or see what personal data we hold about you. Last modification was made 27.06.2018 .